Munckhof arranges transport on behalf of major healthcare institutions for people with a physical and/or mental disability and people with special healthcare needs. 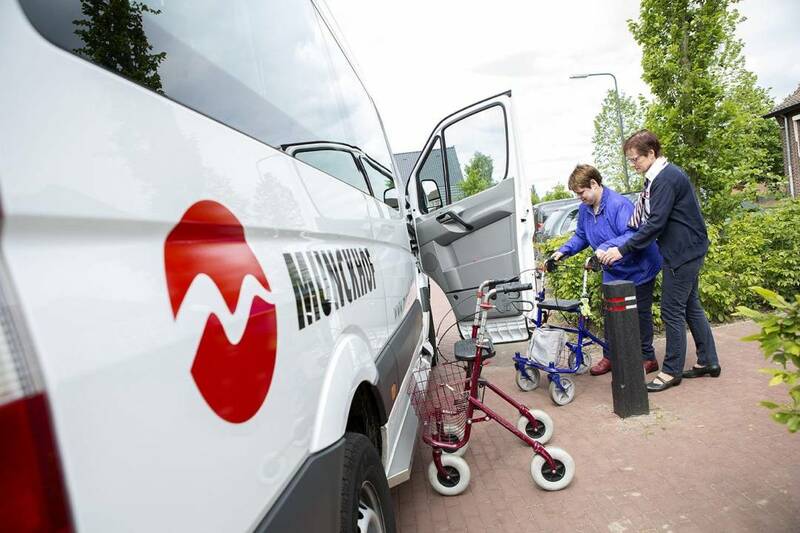 Munckhof arranges transport on behalf of major healthcare institutions for people with a physical and/or mental disability and people with special healthcare needs. Our drivers are specially trained and have experience transporting and interacting with people in this particular segment. We coordinate the daily transport to daily activity centres, rehabilitation centres, geriatric psychiatry centres and specialized medical daycare centres. As rest, continuity and structure are important to this target group, we use regular drivers and vehicles that are fully equipped and adapted to the needs and requirements of the passengers. Munckhof uses vehicles from its extensive fleet for transporting passengers. This fleet consists of various vehicles for wheelchair transport, group transport and individual transport. In addition to our own fleet, we also cooperate with various carriers throughout the Netherlands to ensure the best transport solution for every occasion. The combination of professional management and close contact with local carriers helps us ensure optimum transport on behalf of healthcare institutions. Seated medical transport involves transporting passengers to and from a hospital or medical specialist by taxi for medical treatment. Munckhof has the scope and the network to arrange for this type of transport on behalf of several health insurers. Transport requests are first processed by our call centre. We then arrange for a suitable vehicle from our own fleet (car, taxi bus or wheelchair bus) or contact one of our local transport partners. Traveller service is our first priority. Lunet zorg is extremely satisfied with the way Munckhof has implemented its services.